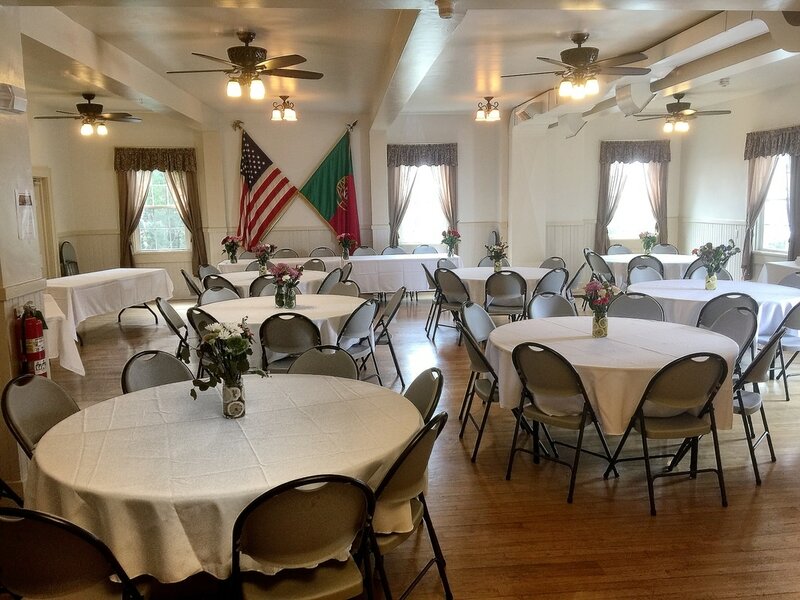 The Hall at the Portuguese Holy Ghost Society is available for rental for your function. Our fully renovated hall or beautiful courtyard with bandstand and chapel would be perfect for a medium sized wedding reception, rehearsal dinner, birthday party or other event. Available to both members and non members. Please call us at 860-535-3855 for more details!